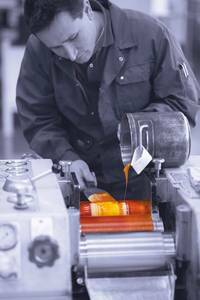 Soon after being founded Gleitsmann was producing both high-quality standard printing inks and innovative security inks. Following its resounding success, Gleitsmann had already set up subsidiaries in Italy, Sweden and Austria by 1920. The company has been based in Berlin since 1953. The best printers have protected their products with Gleitsmann high-tech inks ever since. The range of top-quality inks covers a wide range of applications. All the inks are subjected to exacting tests in the Gleitsmann Test Center. Experience and know-how help ensure the success of all new products.